easily slide into front area of box. This would be considered a medium size collection box. 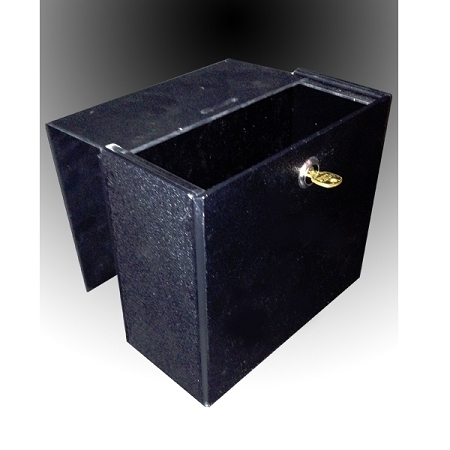 The lock is a cam lock that is installed into the box. One key will open all your boxes and if you re-order, we will key your boxes with the same key. 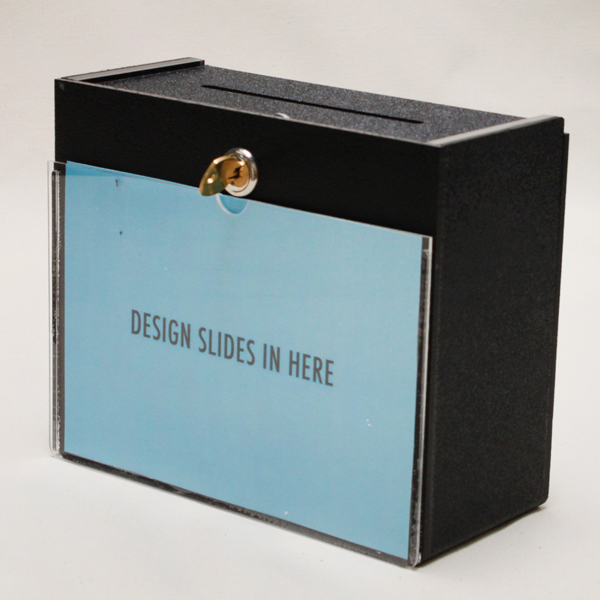 Made from durable black ABS Plastic and comes with a clear acrylic header to display your custom graphic. Your graphic can be easily changed as your promotion or request changes.